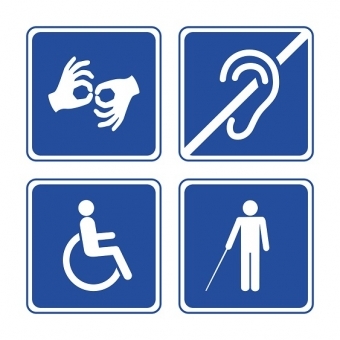 The purpose of our Accessible Customer Service Policy is to establish guidelines on providing housing and services to people with disabilities that will facilitate accessibility. Bethlehem Housing and Support Services (BHSS) is committed to providing its services in ways that are accessible to everyone in keeping with the principles of dignity, equal opportunity, independence and integration. Our Accessible Customer Service Policy establishes accessibility standards for customer service in accordance with the Accessibility For Ontarians with Disabilities Act 2005 in keeping with Accessibility Standards for Customer Service, Ontario Regulation 429/07. Click here to view our Accessible Customer Service Policy. BHSS is committed to providing high quality customer service. We want to continue to enhance and improve the accessibility of our customer service to our tenants, applicants for housing, visitors, members of the community who use our facilities, and other members of the public with disabilities. We welcome your comments. Your feedback will help us improve our services and will support continual improvement in our delivery of accessible and inclusive customer service. Click here to download our Customer Service Feedback Form to share your comments or contact our Program Manager at 905-641-1660 ext. 24. Our policies and forms can be provided in accessible formats or with communication support, upon request. Click here to download the Request for Alternative Documentation Format Form, or contact our Program Manager at 905-641-1660 ext. 24. AODA training has been provided to all members of our organization. As required, BHSS will log and maintain records which will record the details of the training provided. Our training records are available upon request.